"No one can use more of the Supreme Lord's property than necessary. 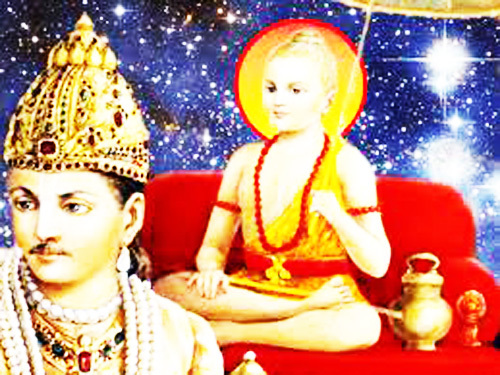 Lord Vamanadeva indirectly indicated to Bali Maharaja that he was occupying more land than he needed. In the material world, all distresses are due to extravagance. One acquires money extravagantly and also spends it extravagantly. Such activities are sinful. All property belongs to the Supreme Personality of Godhead, and all living beings, who are sons of the Supreme Lord, have the right to use the Supreme Father's property, but one cannot take more than necessary. This principle should especially be followed by brahmanas and sannyasis who live at the cost of others." Thank You for this wonderful post. At the time such an understanding was constituted by Lord Shiva who assumed that perhaps this was the reason this fate befell King Bali. But Lord Krishna, Vishnu as Vamana, and King Bali are Eternal companions, deeply entwined in the highest Love. Their purpose for manifesting was purely to curb the vanity, false supremacy and arrogance of Indra and to give him a taste of real power in divinity and teach him a lesson in humility that he will never ever forget. Bali had attained onto Vasudev Bhagwan well before being incarnate as King Bali. Him offering up his own body as a selfless and loving sacrifice was perhaps the final consummation of his marriage with God, they are entwined together because of this great and unsurpassed act of devotion, Love and faith. It was something that surprised, pleased, immersed and entwined God in a greater act of endless Love and faith. Such devotion is always a two way relationship of the highest purity, strength, goodness and Truth. Such an explanation or interpretation as hinted by the statement above was proposed by Lord Shiva only as a deceptive attempt to try and ease the anxiety and worry of Indra and the lesser more vain, unjust, lethargic and conceited divinities that occupy and Lord over this realm. Lord Bali unlike Indra and all the divinities of this realm put together, has the highest distaste, renunciation and peace as he is utterly numb to all the gunas, experiences, objects and pleasures of this world, he was totally enraptured in bliss while worshiping, following and carefully serving the will of God. God is equally and eternally enraptured by his devotion as well. It is only in the minds of Men that these faults and accusations exist as illusions. They find fault in God, Lord Krishna and Bali as that is their chosen Natures and base inclinations. Krishna was worshiped for the longest time by his immediate family members and their blood lines who consider him their ancestor to this day, it is only in recent times that other people elsewhere have begun to gain an understanding of what his selfless service and Love actually means. It is only recently begining with such communities as the Yadavs who claim to be of his ilk and blood that his worship was popularized in a place where both him, his actions, his children, his lineage and all his many cult like devotees have all been severely criticized, unfairly questioned and even mocked at times. His life was never perfect because the imperfections lie in the eye of the ever so fallible beholder and their impure hearts. They can never know him and his devotees because they find fault in God rather than themselves. He was also a popular King of Dwarka who threw away his Kingdom and allegedly cursed it along with his wealth into the Arabian sea. His devotee in Bali is very much like him, nothing is beyond the likes of these in this world, nevertheless all is dust in the face of their Love and divine virtues. 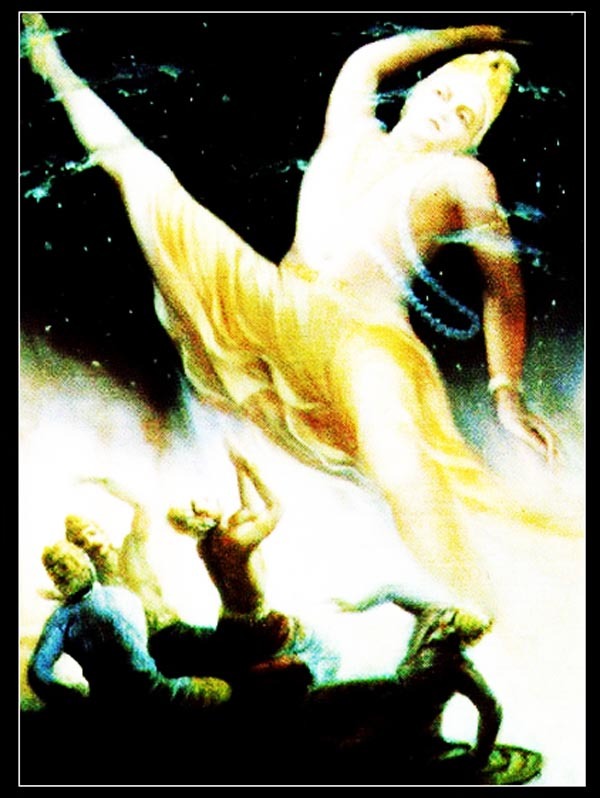 The Lord in Krishna is said to have had 16000 wives, all of whom were celestial maidens who longed to have him as their husband, their wish was granted but then the Lord tested them as they were more enamored by Shiva in the form of Samb and thus God discarded them to the pleasures of this realm in answer to their betrayal and to serve Samb or Shiva as his bonded witches with permanence. Such is how renounced both God, King Bali and his devotees are, their Nature and virtues are as such, they can never have a need in a world such as this that is well beneath the Truth and the Love in their Hearts and Souls. They are at perfect peace with all of this world and both its wealth and poverty alike, nothing can touch or impress upon their souls, their acts of indifference clearly shows they always have each other and nothing else, there is no distance between their hearts. The hells and heavens of this world can never get in the way of their Eternal existence. They are not merely men or devotees or renunciants as such, they are divinities and Lovers of the highest kind. Forgetting this world, its pleasures, Kingdoms and sensuality, the ways, the Nature of, the stories and the very surreal virtues of Lord Krishna, Vishnu, Vamana and King Bali remain ever so bizarre and mysterious to the men of this world in my personal opinion, they can never fully understand or comprehend these things let alone genuinely learn or sincerely love such qualities and Truths. Here is an excerpt from one among my many trusted and most beloved bhaktas/devotees and Spiritual teachers/Masters of all time. at Bali’s gate, never out of Bali Rãjã’s sight, not even for a fraction of a second. everything to Bhagvãn, we should also remain as the dãs of Bhagvãn. that Bhagvãn is unable to free Himself from His bhakta. True Love is Eternal and Unconditional. It never dies...this, its Truth, is beyond questions. 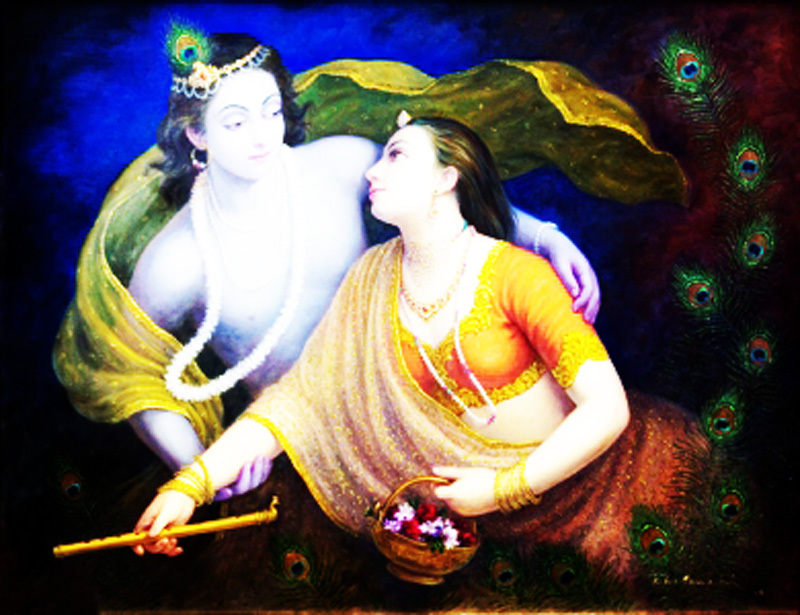 Although he Loved her and many worship them, Krishna never married Radha. Justice and Truth escapes none who offend or hurt his devotees or the meek.